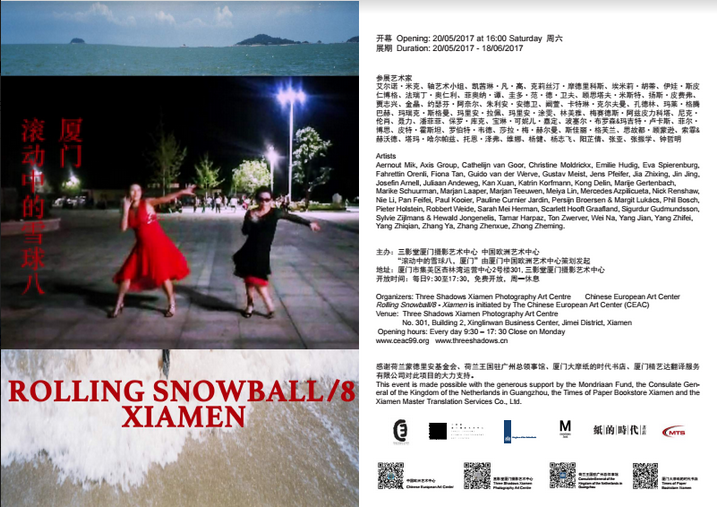 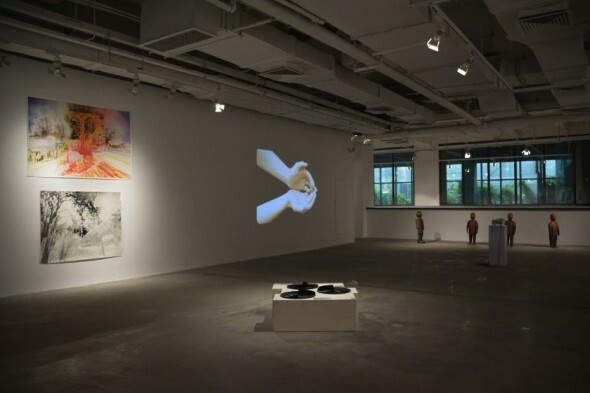 On May 20 at 16:00 was the opening of the CEAC (Chinese European Art Center) exhibition Rolling Snowball / 8, Xiamen, at Three Shadows Xiamen Photography Art Centre. 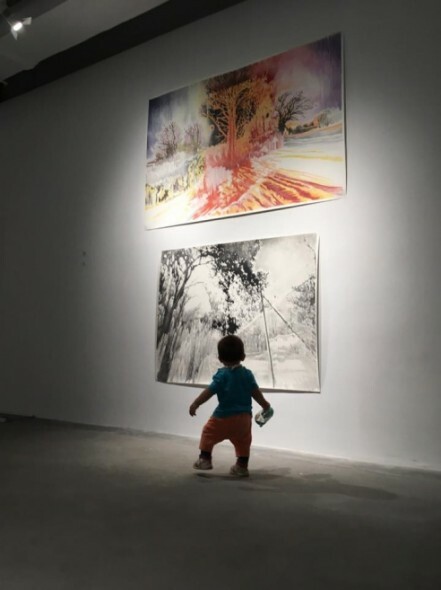 Aernout Mik, Axis Group, Cathelijn van Goor, Christine Moldrickx, Emilie Hudig, Eva Spierenburg, Fahrettin Orenli, Fiona Tan, Guido van der Werve, Gustav Meist, Jens Pfeifer, Jia Zhixing, Jin Jing, Josefin Arnell, Juliaan Andeweg, Kan Xuan, Katrin Korfmann, Kong Delin, Marije Gertenbach, Marike Schuurman, Marjan Laaper, Marjan Teeuwen, Meiya Lin, Mercedes Azpilicueta, Nick Renshaw, Nie Li, Pan Feifei, Paul Kooier, Pauline Curnier Jardin, Persijn Broersen & Margit Lukács, Phil Bosch, Pieter Holstein, Robbert Weide, Sarah Mei Herman, Scarlett Hooft Graafland, Sigurdur Gudmundsson, Sylvie Zijlmans & Hewald Jongenelis, Tamar Harpaz, Ton Zwerver, Wei Na, Yang Jian, Yang Zhifei, Yang Zhiqian, Zhang Ya, Zhang Zhenxue, Zhong Zheming. 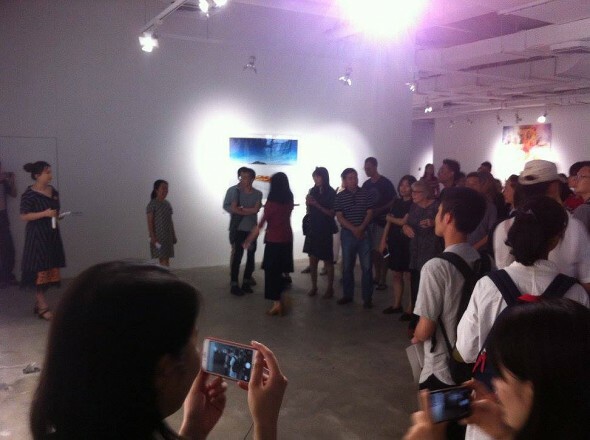 Mrs. Marjo Crompvoets, Consul General of the Kingdom of the Netherlands in Guangzhou opened the exhibition. 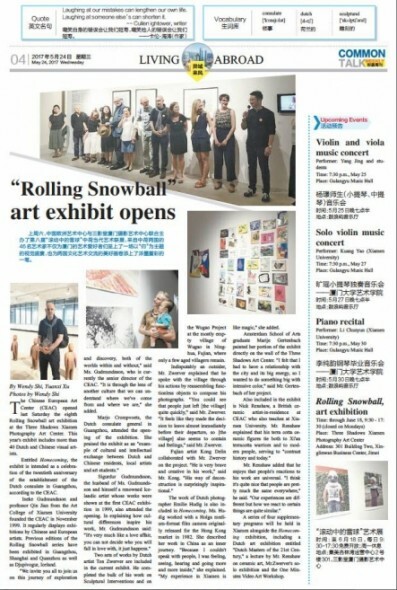 This event is made possible with the generous support by the Three Shadows Xiamen Photography Art Centre, the Mondriaan Fund, the Consulate General of the Kingdom of the Netherlands in Guangzhou, the Times of Paper Bookstore Xiamen, the Xiamen Master Translation Services Co., Ltd. and the participating artists! 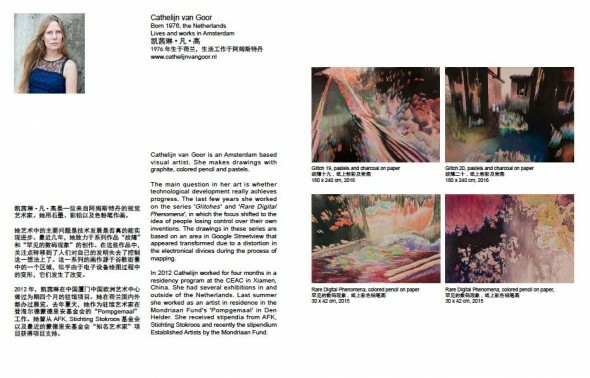 Also a catalogue was made.